Orchids and Onions: What would Herb Caen Say? No doubt Herb would have said something clever and witty, but, unfortunately, you're stuck with me and my thoughts. 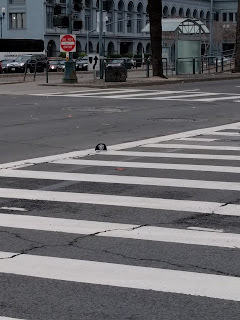 On the windiest day last week, I watched a teen-aged boy lose his hat while crossing the street. 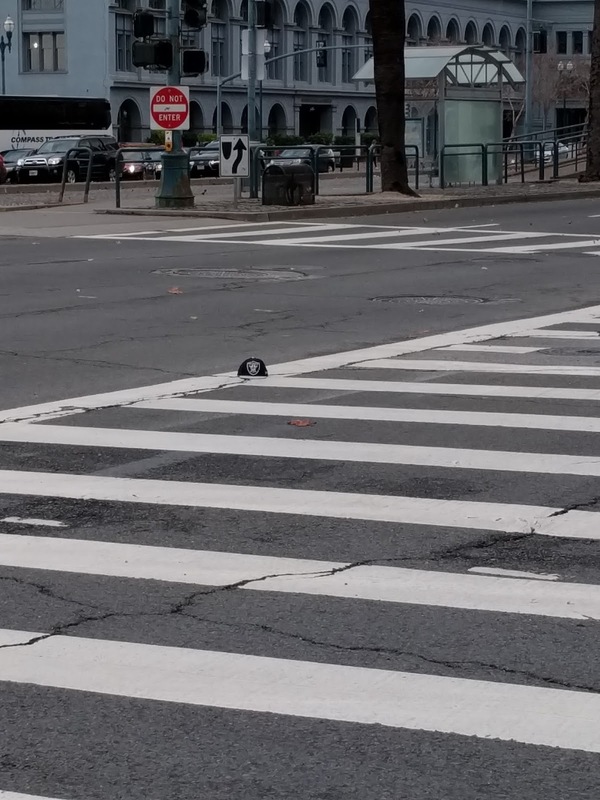 The wind had whipped the cap right off of his head and sent it flying about ten feet in the opposite direction. It landed in the intersection. The boy turned, made a motion toward his cap, turned back around and kept walking. Those sports team caps ain't cheap, but I guess his parents can buy him another one? Maybe the kid didn't really like the Raiders to begin with? It had started to rain. I got out my umbrella. I looked down the street and saw the kid pull his hood up over his head. He didn't look back once at his cap. I saw this guy leave his flat, half-dressed, then make his way up to the corner liquor store, two blocks away. His PJ bottoms were made of some super thin fabric. Looking at him, I felt as if I were peeping. Psst! Buddy! 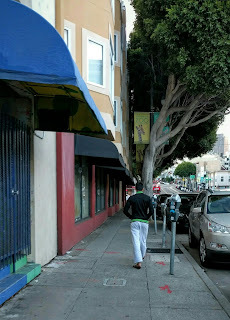 If you can afford to live in North Beach, then you can afford to buy a pair of trousers to wear out of the house. I won't even get in to the fact that dude is wearing sandals in December. Contrary to popular belief, it is actually pretty chilly outside these days.